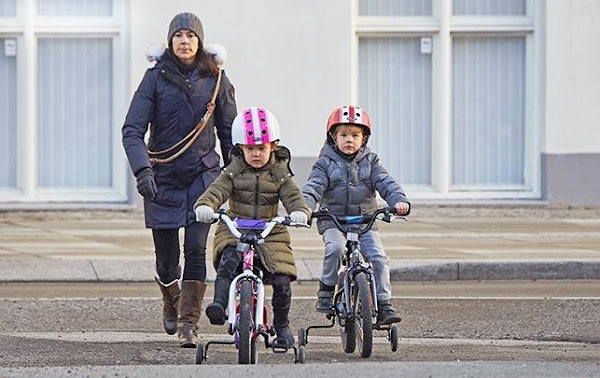 Prince Vincent and Princess Josephine of Denmark were photographed while they were going to the kindergarten by bicycle on their own. 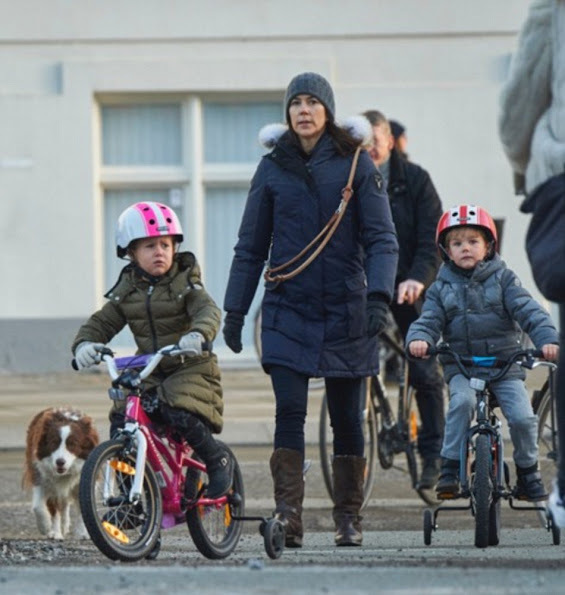 Crown Princess Mary generally used to take their children to and pick up them from the kindergarten by a cargo bicycle. For the first time, young royal family members preferred to go to the kindergarten by bicycle on their own. Thanks for the pics , the twins are adorable love seeing them on their little bikes. Mom looks a little worried! She is being appropriately watchful when young ones are so unpredictable! 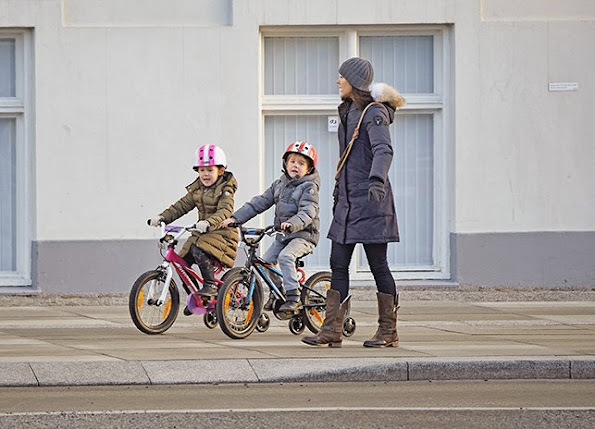 It is good for them to be learning to bike so young! How old is dog?! LOL They had him before Christian was born! Or is this a different dog? Yes it is the same dog, Ziggy is her name, nice to see that she really is part of this loving family. Ziggy the dog was a wedding present. That's lovely isn't? Mary seems worried.